§ 58-1-1. Title of the Chapter. § 58-1-15. Warranties by manufacturers, distributors, or sellers of goods or services. § 58-1-20. Real property warranties. § 58-1-25: Recodified as G.S. 66-370 by Session Laws 2007-95, ss. 2-5, effective October 1, 2007. § 58-1-30: Recodified as G.S. 66-371 by Session Laws 2007-95, ss. 2-5, effective October 1, 2007. § 58-1-35: Recodified as G.S. 66-372 by Session Laws 2007-95, ss. 2-5, effective October 1, 2007. § 58-1-36: Recodified as G.S. 66-373 by Session Laws 2007-95, ss. 2-5, effective October 1, 2007. § 58-1-40: Repealed by Session Laws 1993 (Reg. Sess., 1994), c. 730, s. 3. § 58-1-42: Recodified as G.S. 66-374 by Session Laws 2007-95, s. 6, effective October 1, 2007. §§ 58-1-43, 58-1-50: Repealed by Session Laws 1993 (Reg. Sess., 1994), c. 730, s. 3. Article 2 - Commissioner of Insurance. § 58-2-5. Commissioner's election and term of office. § 58-2-10. Salary of Commissioner. § 58-2-15. Chief deputy commissioner. § 58-2-25. Other deputies, actuaries, examiners and employees. § 58-2-30. Appointments of committees or councils. § 58-2-31. Seniors' Health Insurance Information Program. § 58-2-35. Seal of Department. § 58-2-40. Powers and duties of Commissioner. § 58-2-45. Orders of Commissioner; when writing required. § 58-2-46. State of disaster automatic stay of proof of loss requirements; premium and debt deferrals; loss adjustments for separate windstorm policies. § 58-2-47. Incident affecting operations of the Department; stay of deadlines and deemer provisions. § 58-2-50. Examinations, hearings, and investigations. § 58-2-52. Appeals and rate-making hearings before the Commissioner. § 58-2-53. Filing approvals and disapprovals; clarification of law. § 58-2-55. Designated hearing officers. § 58-2-60. Restraining orders; criminal convictions. § 58-2-69. Notification of criminal convictions and changes of address; service of notice; contracts for online services, administrative services, or regulatory data systems. § 58-2-70. Civil penalties or restitution for violations; administrative procedure. § 58-2-75. Court review of orders and decisions. § 58-2-80. Court review of rates and classification. § 58-2-85. Procedure on appeal under § 58-2-80. § 58-2-90. Extent of review under § 58-2-80. § 58-2-95. Commissioner to supervise local inspectors. § 58-2-100. Office of Commissioner a public office; records, etc., subject to inspection. § 58-2-105. Confidentiality of medical and credentialing records. § 58-2-110. Original documents and certified copies as evidence. § 58-2-115. Admissibility of certificate as evidence of agent's authority. § 58-2-120. Reports of Commissioner to the Governor and General Assembly. § 58-2-121. Report of Department to General Assembly committees on various relief funds. § 58-2-125. Authority over all insurance companies; no exemptions from license. § 58-2-130: Repealed by Session Laws 1991, c. 681, s. 3. § 58-2-131. Examinations to be made; authority, scope, scheduling, and conduct of examinations. § 58-2-133. Conflict of interest; cost of examinations; immunity from liability. § 58-2-134. Cost of certain examinations. § 58-2-135: Repealed by Session Laws 1991, c. 681, s. 3. § 58-2-136. Insurer records sent to Department for examination; expenses. § 58-2-140: Repealed by Session Laws 1991, c. 681, s. 3. § 58-2-145: Repealed by Session Laws 1997-362, s. 7. § 58-2-150. Oath required for compliance with law. § 58-2-155. Investigation of charges. § 58-2-160. Reporting and investigation of insurance and reinsurance fraud and the financial condition of licensees; immunity from liability. § 58-2-161. False statement to procure or deny benefit of insurance policy or certificate. § 58-2-162. Embezzlement by insurance agents, brokers, or administrators. § 58-2-163. Report to Commissioner. § 58-2-164. Rate evasion fraud; prevention programs. § 58-2-165. Annual, semiannual, monthly, or quarterly statements to be filed with Commissioner.  § 58-2-170: Repealed by Session Laws 2015-92, s. 2, effective June 19, 2015. § 58-2-171. Qualifications of actuaries. § 58-2-175: Repealed by Session Laws 1993, c. 452, s. 65. § 58-2-180. Punishment for making false statement. § 58-2-185. Record of business kept by companies and agents; Commissioner may inspect. § 58-2-190. Commissioner may require special reports. § 58-2-195. Commissioner may require records, reports, etc., for agencies, agents and others. § 58-2-200. Books and papers required to be exhibited. § 58-2-205. CPA audits of financial statements. § 58-2-210. Rules for mortgage insurance consolidations. § 58-2-215. Consumer Protection Fund. § 58-2-220. Insurance Regulatory Information System and similar program test data not public records. § 58-2-225: Repealed by Session Laws 1995, c. 193, s. 8. § 58-2-230. Commissioner to share information with Department of Labor. § 58-2-240. Market conduct analysis, financial analysis, and related information not public record. § 58-2-245. Access to employer taxpayer identification numbers contained in public documents. § 58-2-255. Electronic insurance communications and records. Article 3 - General Regulations for Insurance. § 58-3-1. State law governs insurance contracts. § 58-3-5. No insurance contracts except under Articles 1 through 64 of this Chapter. § 58-3-6. Charitable gift annuities. § 58-3-7. Certain accountable care organizations not subject to this Chapter. § 58-3-10. Statements in application not warranties. § 58-3-15. Additional or coinsurance clause. § 58-3-20. Group plans other than life, annuity or accident and health. § 58-3-25. Discriminatory practices prohibited. § 58-3-30. Meaning of terms "accident", "accidental injury", and "accidental means". § 58-3-33. Insurer conditionally required to provide information. § 58-3-35. Stipulations as to jurisdiction and limitation of actions. § 58-3-40. Proof of loss forms required to be furnished. § 58-3-45. Insurance as security for a loan by the company. § 58-3-50. Companies must do business in own name; emblems, insignias, etc. § 58-3-55. Must not pay death benefits in services. § 58-3-60. Publication of assets and liabilities; penalty for failure. § 58-3-65. Publication of financial information. § 58-3-70: Repealed by Session Laws 1993, c. 452, s. 65. § 58-3-71. Unearned premium reserves. § 58-3-72. Premium deficiency reserves. § 58-3-75. Loss and loss expense reserves of fire and marine insurance companies. § 58-3-80: Repealed by Session Laws 1993, c. 452, s. 65. § 58-3-81. Loss and loss expense reserves of casualty insurance and surety companies. § 58-3-85. Corporation or association maintaining office in State required to qualify and secure license. § 58-3-90: Repealed by Session Laws 2001-223, s. 2.1. § 58-3-95: Repealed by Session Laws 1991, c. 720, s. 71. § 58-3-100. Insurance company licensing provisions. § 58-3-102. Request for determination of coverage for transplants under health benefit payment mechanisms; required response time; penalties. § 58-3-105. Limitation of risk. § 58-3-110. Limitation of liability assumed. § 58-3-115. Twisting with respect to insurance policies; penalties. § 58-3-121. Discrimination against coverage of certain bones and joints prohibited. § 58-3-122. Anesthesia and hospital charges necessary for safe and effective administration of dental procedures for young children, persons with serious mental or physical conditions, and persons with significant behavioral problems; coverage in health benefit plans. § 58-3-125. Repealed by Session Laws 1999-132, s. 1.1. § 58-3-130. Agent, adjuster, etc., acting without a license or violating insurance law. § 58-3-135. Certain insurance activities by lenders with customers prohibited. § 58-3-140. Temporary contracts of insurance permitted. § 58-3-145. Solicitation, negotiation or payment of premiums on insurance policies. § 58-3-147. Credit card guaranty or collateral prohibited. § 58-3-150. Forms to be approved by Commissioner. § 58-3-152. Excess liability policies; uninsured and underinsured motorist coverages. § 58-3-155. Business transacted with insurer-controlled brokers. § 58-3-160. Sale of company or major reorganization; license to be restricted. § 58-3-165. Business transacted with producer-controlled property or casualty insurers. § 58-3-167. Applicability of acts of the General Assembly to health benefit plans. § 58-3-168. Coverage for postmastectomy inpatient care. § 58-3-169. Required coverage for minimum hospital stay following birth. § 58-3-170. Requirements for maternity coverage. § 58-3-171. Uniform claim forms. § 58-3-172. Notice of claim denied. § 58-3-173: Repealed by Session Laws 1997-259, s. 24. § 58-3-174. Coverage for bone mass measurement for diagnosis and evaluation of osteoporosis or low bone mass. § 58-3-175. Direct payment to government agencies. § 58-3-176. Treatment discussions not limited. § 58-3-177. Uniform prescription drug identification cards. § 58-3-178. Coverage for prescription contraceptive drugs or devices and for outpatient contraceptive services; exemption for religious employers. § 58-3-179. Coverage for colorectal cancer screening. § 58-3-180. Motor vehicle repairs; selection by claimant. § 58-3-181. Synchronization of prescription refills. § 58-3-185. Lien created for payment of past-due child support obligations. § 58-3-190. Coverage required for emergency care. § 58-3-191. Managed care reporting and disclosure requirements. § 58-3-192. Coverage for autism spectrum disorder. § 58-3-200. Miscellaneous insurance and managed care coverage and network provisions. § 58-3-215. Genetic information in health insurance. § 58-3-221. Access to nonformulary and restricted access prescription drugs. § 58-3-223. Managed care access to specialist care. § 58-3-225. Prompt claim payments under health benefit plans. § 58-3-227. Health plans fee schedules. § 58-3-228. Coverage for extra prescriptions during a state of emergency or disaster. § 58-3-230. Uniform provider credentialing. § 58-3-231. Payment under locum tenens arrangements. § 58-3-235. Selection of specialist as primary care provider. § 58-3-240. Direct access to pediatrician for minors. § 58-3-245. Provider directories; cost tools for insured. § 58-3-247. Insurance identification card. § 58-3-250. Payment obligations for covered services. § 58-3-255. Coverage of clinical trials. § 58-3-260. Insurance coverage for newborn hearing screening mandated. § 58-3-265. Prohibition on managed care provider incentives. § 58-3-270. Coverage for surveillance tests for women at risk for ovarian cancer. § 58-3-275. Closure of a block of business. § 58-3-276: Repealed by Session Laws 2013-410, s. 28.5(e), effective August 23, 2013. § 58-3-280. Coverage for the diagnosis and treatment of lymphedema. § 58-3-285. Coverage for hearing aids. § 58-3-290. Nondependent child coverage defined; open enrollment. § 58-3-295: Reserved for future codification purposes. § 58-3-300. Health insurance issuers subject to certain requirements of federal law. Article 4 - NAIC Filing Requirements. § 58-4-15. Revocation or suspension of license. § 58-4-20: Recodified as § 58-2-220 pursuant to Session Laws 1989 (Regular Session, 1990), c. 0121, s. 7. § 58-4-25. Insurance Regulatory Information System and similar program test data records. Article 5 - Deposits and Bonds by Insurance Companies. § 58-5-1. Deposits; use of master trust. § 58-5-5. Amount of deposits required of foreign or alien fire and/or marine insurance companies. § 58-5-10. Amount of deposits required of foreign or alien fidelity, surety and casualty insurance companies. § 58-5-15. Minimum deposit required upon admission. § 58-5-20. Type of deposits. § 58-5-25. Replacements upon depreciation of securities. § 58-5-30. Power of attorney. § 58-5-35. Securities held by Treasurer; faith of State pledged therefor; nontaxable. § 58-5-40. Authority to increase deposit. § 58-5-45: Repealed by Session Laws 1991, c. 681, s. 21. § 58-5-50. Deposits of foreign life insurance companies. § 58-5-55. Deposits of capital and surplus by domestic insurance companies. § 58-5-60: Repealed by Session Laws 1995, c. 193, s. 8. § 58-5-63. Interest; liquidation of deposits for liabilities. § 58-5-65: Repealed by Session Laws 1995, c. 193, s. 8. § 58-5-70. Lien of policyholders; action to enforce. § 58-5-71. Liens of policyholders; subordination. § 58-5-75. Substitution for securities paid. § 58-5-80. Return of deposits. § 58-5-85: Repealed by Session Laws 1991, c. 681, s. 21. § 58-5-90. Deposits held in trust by Commissioner or Treasurer. § 58-5-95. Deposits subject to approval and control of Commissioner. § 58-5-100. Deposits by alien companies required and regulated. § 58-5-105. Deposits by life companies not chartered in United States. § 58-5-110. Registration of bonds deposited in name of Treasurer or Commissioner. § 58-5-115. Notation of registration; release. § 58-5-120. Expenses of registration. § 58-5-125: Repealed by Session Laws 1991, c. 681, s. 21. Article 6 - License Fees and Taxes. § 58-6-1. Commissioner to report taxes and fees and pay monthly. § 58-6-5. Schedule of fees and charges. § 58-6-7. Licenses; perpetual licensing; annual license continuation fees for insurance companies. § 58-6-10. Repealed by Session Laws 1999-132, s 1.1. § 58-6-15. Annual license continuation fee definition; requirements. § 58-6-20. Policyholders to furnish information. § 58-6-25. Insurance regulatory charge. Article 7 - General Domestic Companies. § 58-7-1. Application of this Chapter and general laws. § 58-7-5. Extension of existing charters. § 58-7-10. Certificate required before issuing policies. § 58-7-15. Kinds of insurance authorized. § 58-7-16. Funding agreements authorized. § 58-7-20: Repealed by Session Laws 1991, c. 681, s. 23. § 58-7-21. Credit allowed a domestic ceding insurer. § 58-7-25: Repealed by Session Laws 1991, c. 681, s. 23. § 58-7-26. Asset or reduction from liability for reinsurance ceded by a domestic insurer to an assuming insurer not meeting the requirements of G.S. 58-7-21. § 58-7-30. Insolvent ceding insurer. § 58-7-31. Life and health reinsurance agreements. § 58-7-32: Repealed by Session Laws 1993, c. 452, s. 65. § 58-7-33. Minimum policyholders' surplus to assume property or casualty reinsurance. § 58-7-35. Manner of creating such corporations. § 58-7-37. Background of incorporators and proposed management personnel. § 58-7-40. First meeting; organization; license. § 58-7-45. Bylaws; classification and election of directors; amendments. § 58-7-46. Notification to Commissioner for president or chief executive officer changes. § 58-7-50. Maintenance and removal of records and assets. § 58-7-55. Exceptions to requirements of G.S. 58-7-50. § 58-7-60. Approval as a domestic insurer. § 58-7-65. Conversion to foreign insurer. § 58-7-70. Effects of redomestication. § 58-7-73. Dissolutions of insurers. § 58-7-75. Amount of capital and/or surplus required; impairment of capital or surplus. § 58-7-80. Capital stock fully paid in cash. §§ 58-7-85 through 58-7-90: Repealed by Session Laws 1991, c. 681, s. 30. § 58-7-95. Establishment of separate accounts by life insurance companies. § 58-7-100: Repealed by Session Laws 1991, c. 681, s. 30. § 58-7-105. Authority to increase or reduce capital stock. § 58-7-110. Assessment of shares; revocation of license. § 58-7-115. Increase of capital stock. § 58-7-120. Reduction of capital stock. § 58-7-125. Dividends not payable when capital stock impaired; liability of stockholders for unlawful dividends. § 58-7-130. Dividends and distributions to stockholders. § 58-7-135: Repealed by Session Laws 1993, c. 452, s. 65. § 58-7-140. Certain officers debarred from commissions. § 58-7-145. Restrictions on purchase and sale of equity securities of domestic companies. § 58-7-155: Repealed by Session Laws 2005-424, s. 1.3, effective January 1, 2006, and applicable to applications filed, licenses issued, and licenses continued on or after that date. § 58-7-160. Investments unlawfully acquired. § 58-7-162. Allowable or admitted assets. § 58-7-163. Assets not allowed. § 58-7-168. Authorization of investment. § 58-7-172. Cash and deposits. § 58-7-173. Permitted insurer investments. § 58-7-177: Repealed by Session Laws 2001-223, s. 8.9. § 58-7-178. Foreign or territorial investments. § 58-7-182. Special investments by title insurers. § 58-7-183. Special consent investments. § 58-7-185. Prohibited investments and investment underwriting. § 58-7-187. Real estate, in general. § 58-7-188. Time limit for disposal of ineligible property and securities; effect of failure to dispose. § 58-7-190: Repealed by Session Laws 1993, c. 452, s. 65. § 58-7-192. Valuation of securities and investments. § 58-7-193. Valuation of property. § 58-7-195: Repealed by Session Laws 2003-212, s. 10, effective October 1, 2003. § 58-7-197. Replacing certain assets; reporting certain liabilities. § 58-7-198. Assets of foreign or alien insurers. Article 8 - Mutual Insurance Companies. § 58-8-1. Mutual insurance companies organized; requisites for doing business. § 58-8-5. Manner of amending charter. § 58-8-10. Policyholders are members of mutual companies. § 58-8-15. Directors in mutual companies. § 58-8-20. Mutual companies with a guaranty capital. § 58-8-25. Dividends to policyholders. § 58-8-30. Contingent liability of policyholders. § 58-8-35. Contingent liability printed on policy. § 58-8-40. Nonassessable policies; foreign or alien companies. § 58-8-45. Waiver of forfeiture in policies assigned or pledged; notice of assignment; payment of assessment or premium by assignee or mortgagee. § 58-8-50. Guaranty against assessments prohibited. § 58-8-55. Manner of making assessments; rights and liabilities of policyholders. § 58-8-60. Independent charters for members of the Farmers Mutual Fire Insurance Association of North Carolina. Article 9 - Reinsurance Intermediaries. § 58-9-1: Repealed by Session Laws 1993, c. 452, s. 65. § 58-9-5: Repealed by Session Laws 1993, c. 452, s. 65. § 58-9-10: Repealed by Session Laws 1993, c. 452, s. 65. § 58-9-11. Broker and insurer transactions. § 58-9-15: Repealed by Session Laws 1993, c. 452, s. 65. § 58-9-16. Manager and reinsurer transactions. § 58-9-20: Repealed by Session Laws 1993, c. 452, s. 65. § 58-9-22. Compliance with orders. § 58-9-25: Repealed by Session Laws 1993, c. 452, s. 65. § 58-9-30: Repealed by Session Laws 1993, c. 452, s. 65. Article 10 - Miscellaneous Insurer Financial Provisions. § 58-10-1. Stock to mutual insurer conversion. § 58-10-5. Stock acquired to be turned over to voting trust until all stock acquired; dividends repaid to corporation for beneficiaries. § 58-10-10. Mutual to stock insurer conversion. § 58-10-12. Conversion plan requirements. § 58-10-40. Effect of consent. § 58-10-60. Acquisitions and dispositions of assets. § 58-10-65. Nonrenewals, cancellations, or revisions of ceded reinsurance agreements. § 58-10-75. Purpose and legislative intent. § 58-10-85. Establishment of protected cells. § 58-10-90. Use and operation of protected cells. § 58-10-95. Reach of creditors and other claimants. § 58-10-100. Conservation, rehabilitation, or liquidation of protected cell companies. § 58-10-105. No transaction of an insurance business. § 58-10-110. Authority to adopt rules. § 58-10-125. Policyholders position and capital and surplus requirements. § 58-10-130. Unearned premium reserve. § 58-10-135. Contingency reserve for mortgage guaranty insurers. § 58-10-140. Report of policyholder's position. § 58-10-145. Monoline requirement for mortgage guaranty insurers. § 58-10-150. Statement of actuarial opinion. § 58-10-155. Actuarial opinion summary. § 58-10-160. Actuarial report and work papers. § 58-10-165. Monetary penalties for failure to provide documents. § 58-10-170. Qualified immunity of appointed actuary. § 58-10-185. Purpose and scope. § 58-10-195. General requirements related to filing and extensions for filing of annual audited financial reports and audit committee appointment. § 58-10-200. Contents of annual audited financial report. § 58-10-205. Designation of independent certified public accountant. § 58-10-210. Qualifications of independent certified public accountant. § 58-10-215. Consolidated or combined audits. § 58-10-220. Scope of audit and report of independent certified public accountant. § 58-10-225. Notification of adverse financial condition. § 58-10-230. Communication of internal control related matters noted in an audit. § 58-10-235. Accountant's letter of qualifications. § 58-10-240. Definition, availability, and maintenance of independent certified public accountants' work papers. § 58-10-245. Requirements for audit committees. § 58-10-250. Conduct of insurer in connection with the preparation of required reports and documents. § 58-10-255. Management's report of internal control over financial reporting. § 58-10-260. Exemptions and effective dates. § 58-10-265. Canadian and British companies. § 58-10-285. Application; contents; process. § 58-10-290. Plan of reorganization. § 58-10-295. Powers of the Commissioner. § 58-10-300. Special financial requirements. § 58-10-305. Reorganization of domestic mutual insurer with mutual insurance holding company. § 58-10-310. Mergers of mutual insurance holding companies. § 58-10-320. Regulation of holding company system. § 58-10-325. Reporting of stock ownership and transactions. § 58-10-345. Licensing; authority; confidentiality. § 58-10-347. Provisional approval for a license. § 58-10-350. Commissioner use of consultants and other professionals. § 58-10-360. Designation of captive manager. § 58-10-365. Names of companies. § 58-10-370. Capital and surplus requirements. § 58-10-375. Dividends and distributions. § 58-10-380. Formation of captive insurance companies. § 58-10-390. Conflict of interest. § 58-10-400. Insurance manager and intermediaries. § 58-10-410: Reserved for future codification purposes. § 58-10-415. Annual audit and statement of actuarial opinion. § 58-10-420. Independent certified public accountants. § 58-10-435. License suspension or revocation. § 58-10-450. Membership in rating organizations; exemption from compulsory associations. § 58-10-460. Adoption and amendment of rules by Commissioner. § 58-10-470: Repealed by Session Laws 2016-78, s. 4.1(q), effective June 30, 2016. § 58-10-475. Supervision; rehabilitation; liquidation. § 58-10-480. Authority for expenditure of public funds. § 58-10-485. Violations and penalties. § 58-10-490. Inactive captive insurance companies. § 58-10-495. Captive insurance companies reinsuring life insurance policies. § 58-10-496. Waiver or modification. § 58-10-500. Forming a protected cell captive insurance company. § 58-10-505. Additional filing requirements for applicant protected cell captive insurance companies. § 58-10-510. Establishment of protected cells. § 58-10-512. Incorporated protected cells. § 58-10-513. Cell shares and cell dividends. § 58-10-515. Participants in a protected cell captive insurance company. § 58-10-517. Company to inform persons they are dealing with protected cell captive insurance company. § 58-10-520. Combining assets of protected cells. § 58-10-525. Application of supervision, rehabilitation, and liquidation provisions to protected cell captive insurance companies. § 58-10-530. Establishment of branch captive insurance companies. § 58-10-535. Security for payment of branch captive insurance company liabilities. § 58-10-540: Repealed by Session Laws 2015-99, s. 1, effective June 19, 2015. § 58-10-545. Filing of reports and statements. § 58-10-550. Audit of a branch captive insurance company. § 58-10-555. Creation of special purpose financial captives. § 58-10-560. Controlling provisions when conflict exists; exemptions. § 58-10-570. Organization of an SPFC. § 58-10-585. Establishment of protected cell accounts. § 58-10-590. Protected cell accounts. § 58-10-600. Asset management agreements. § 58-10-610. No securities considered to be insurance or reinsurance contracts. § 58-10-615. Disposition of assets; investment limitations. § 58-10-625. Changes in plan of operation; filing of audit and statement of operation; audits. § 58-10-630. Cessation of business. § 58-10-635. Supervision, rehabilitation, or liquidation of SPFC. § 58-10-650. Other laws applicable to captive insurance companies. § 58-10-655. Commissioner to share information with Department of Revenue. § 58-10-700. Purpose and scope. § 58-10-710. Risk management framework. § 58-10-720. ORSA Summary Report. § 58-10-730. Contents of ORSA Summary Report. Article 11 - Assessment Companies. § 58-11-1. Copies of charter and bylaws filed. § 58-11-5. Contracts must accord with charter and bylaws. § 58-11-10. "Assessment plan" printed on application and policy. § 58-11-15. Revocation for noncompliance. § 58-11-20. Deposits and advance assessments required. § 58-11-25. Deposits by foreign assessment companies or orders. § 58-11-30. Revocation of license. § 58-11-35. Mutual life insurance companies; assessments prohibited. Article 12 - Risk-Based Capital Requirements. § 58-12-1: Repealed by Session Laws 1993, c. 452, s. 65. § 58-12-4. Finding; endorsement of additional capital. § 58-12-5. Repealed by Session Laws 1993, c. 452, s. 65. § 58-12-6. Risk-based capital reports. § 58-12-10. Repealed by Session Laws 1993, c. 452, s. 65. § 58-12-11. Company action level event. § 58-12-15. Repealed by Session Laws 1993, c. 452, s. 65. § 58-12-16. Regulatory action level event. § 58-12-20. Repealed by Session Laws 1993, c. 452, s. 65. § 58-12-21. Authorized control level event. § 58-12-25. Mandatory control level event. § 58-12-35. Confidentiality and prohibition on announcements. § 58-12-40. Supplemental provisions; rules; exemptions. § 58-12-60. Property or casualty phase-in provision. § 58-12-65. Health organization phase-in provision. § 58-12-70. HMO net worth requirements. Article 13 - Asset Protection Act. § 58-13-25. Prohibition of hypothecation. Article 14 - Unauthorized Insurance by Domestic Companies. § 58-14-1. Purpose of Article. § 58-14-5. Domestic insurers prohibited from transacting business in foreign states without authorization; exceptions. § 58-14-10. Domestic insurers; advertising; exceptions. § 58-14-15. Penalties provided for unauthorized acts. Article 15 - Reciprocal Insurance. § 58-15-10. Kinds of insurance. § 58-15-20. Eligible contracting persons. § 58-15-30. License, surplus, and deposit requirements. § 58-15-35. Continuation of business under prior requirements. § 58-15-40. Certification of foreign and alien reciprocals. § 58-15-50. Contracts and property. § 58-15-60. Subscribers' contingent liability. § 58-15-70. Distribution to subscribers. § 58-15-80: Reserved for future codification purposes. § 58-15-85. Service of process. § 58-15-95. Liability on judgments. § 58-15-100. Declaration for license. § 58-15-110. Deposit in lieu of bond. § 58-15-120. Subscriber's agreement and power of attorney. § 58-15-125. Modification of subscriber's agreement and power of attorney. § 58-15-130. Advance of funds. § 58-15-140. Duration of liability for assessment. § 58-15-145. Distribution of assets after liquidation. § 58-15-150. Financial impairment; assessment; liquidation. Article 16 - Foreign or Alien Insurance Companies. § 58-16-1. Admitted to do business. § 58-16-5. Conditions of licensure. § 58-16-6. Conditions of continued licensure. § 58-16-10. Limitation as to kinds of insurance. § 58-16-15. Foreign companies; requirements for admission. § 58-16-20. Company owned or controlled by foreign government prohibited from doing business. § 58-16-30. Service of legal process upon Commissioner. § 58-16-35. Unauthorized Insurers Process Act. § 58-16-40. Alternative service of process on insurers. § 58-16-45. Commissioner to notify company of service or acceptance of service of process. § 58-16-50. Action to enforce compliance with this Chapter. § 58-16-55. Amendments to documents. Article 17 - "Lloyds" Insurance Associations. § 58-17-1. "Lloyds" insurance associations may transact business of insurance other than life, on certain conditions. Article 18 - Promoting and Holding Companies. §§ 58-18-1 through 58-18-25: Repealed by Session Laws 2001-223, s. 15, effective June 15, 2001. Article 19 - Insurance Holding Company System Regulatory Act. § 58-19-1. Findings; purpose; legislative intent. § 58-19-2. Compliance with federal law. § 58-19-10. Subsidiaries of insurers. § 58-19-15. Acquisition of control of or merger with domestic insurer. § 58-19-17. Foreign or alien insurer's report of change of control. § 58-19-20: Repealed by Session Laws 1993, c. 452, s. 65. § 58-19-25. Registration of insurers. § 58-19-30. Standards and management of an insurer within an insurance holding company system. § 58-19-45. Injunctions; prohibitions against the voting of securities; sequestration of voting securities. § 58-19-65. Revocation or suspension of insurer's license. § 58-19-70. Judicial review; mandatory injunction or writ of mandamus. § 58-19-75. Forms – general requirements. § 58-19-80. Forms – incorporation by reference, summaries and omissions. § 58-19-85. Forms – information unknown or unavailable and extension of time to furnish. § 58-19-90. Forms – additional information and exhibits. Article 20 - Hull Insurance, and Protection and Indemnity Clubs. § 58-20-10. Commercial Fishermen Hull Insurance, and Protection and Indemnity Clubs authorized. § 58-20-15. Board of trustees. § 58-20-20. Mutual agreement for indemnification. § 58-20-25. Termination of Club membership; notice. § 58-20-30. Financial monitoring and evaluation of clubs. § 58-20-35. Insolvency or impairment of Club. § 58-20-40. Immunity of administrators and boards of trustees. Article 21 - Surplus Lines Act. § 58-21-2. Relationship to other insurance laws. § 58-21-4. Nonadmitted and Reinsurance Reform Act duties. § 58-21-5. Purposes; necessity for regulation. § 58-21-15. Placement of surplus lines insurance. § 58-21-16. Streamlined application for commercial purchasers. § 58-21-17. Placement with alien insurers. § 58-21-20. Eligible surplus lines insurer required. § 58-21-21. Nonadmitted domestic surplus lines insurer. § 58-21-22. Limitation on amount of salary protection insurance. § 58-21-25. Other nonadmitted insurers. § 58-21-30. Withdrawal of eligibility from a surplus lines insurer. § 58-21-35. Duty to file and retain reports. § 58-21-40. Surplus lines regulatory support organization. § 58-21-45. Evidence of the insurance; changes; penalty. § 58-21-50. Duty to notify insured. § 58-21-55. Valid surplus lines insurance. § 58-21-60. Effect of payment to surplus lines licensee. § 58-21-65. Licensing of surplus lines license. § 58-21-70. Surplus lines licensees may accept business from other agents or brokers. § 58-21-75. Records of surplus lines licensee. § 58-21-80. Quarterly reports; summary of exported business. § 58-21-85. Surplus lines tax. § 58-21-90. Collection of tax. § 58-21-95. Suspension, revocation or nonrenewal of surplus lines licensee's license. § 58-21-100. Actions against surplus lines insurer; service of process. Article 22 - Liability Risk Retention. Article 23 - Local Government Risk Pools. § 58-23-1. Short title; definition. § 58-23-5. Local government pooling of property, liability and workers' compensation coverages. § 58-23-10. Board of trustees. § 58-23-25: Repealed by Session Laws 1993, c. 452, s. 65. § 58-23-26. Financial monitoring and evaluation of pools. § 58-23-30. Insolvency or impairment of pool. § 58-23-35. Immunity of administrators and boards of trustees. § 58-23-40. Pools not covered by guaranty associations. § 58-23-45. Relationship to other insurance laws. Article 24 - Fraternal Benefit Societies. § 58-24-1. Fraternal benefit societies. § 58-24-10. Representative form of government. § 58-24-20. Purposes and powers. § 58-24-25. Qualifications for membership. § 58-24-30. Location of office, meetings, communications to members, grievance procedures. § 58-24-35. No personal liability. § 58-24-50. Amendments to laws. § 58-24-65. Consolidations and mergers. § 58-24-70. Conversion of fraternal benefit society into mutual life insurance company. § 58-24-85. Benefits not attachable. § 58-24-90. The benefit contract.